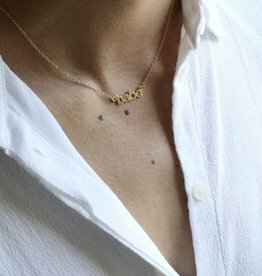 Sophie Alden created Lisbeth Jewelry out of her passion for design and for her desire to create pieces that were missing from her personal wardrode. 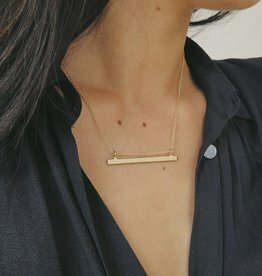 Handmade in Toronto, Lisbeth Jewelry is a collection of necklaces, earrings, bracelets and rings featuring materials such as 14k gold fill, sterling silver and some semi precious stones. 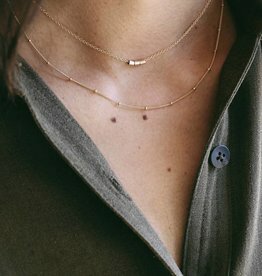 Lisbeth Jewelry evokes and air of understated glamour with a twist. The designs are simple and classic with some edgier components mixed in. 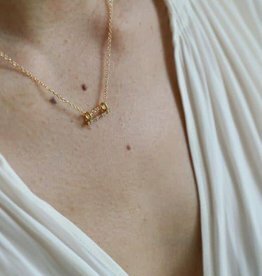 14k gold fill or sterling silver necklace features a small cz bar charm hanging from a 16" delicate cable chain. 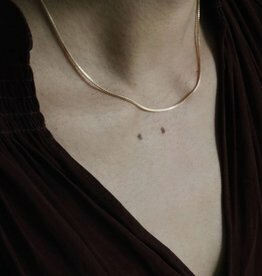 14k gold fill or Sterling silver chain lariat. 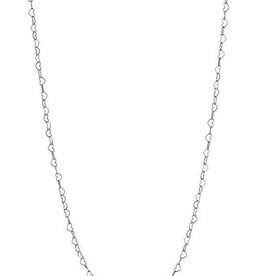 This necklace features a drawn cable chain and two circle pendants. 20" in length.